In our workshop in Groningen, Holland, you are welcome to try our guitars and get a good impression of their sound, looks and feel. Come visit us Now For Sale! Rikkers handmade guitars are synonymous with craftsmanship and exclusiveness since 1983. We build our instruments to the highest degree of customization. Meaning most anything is possible. If you have specific musical demands, we’ll make it work for you. 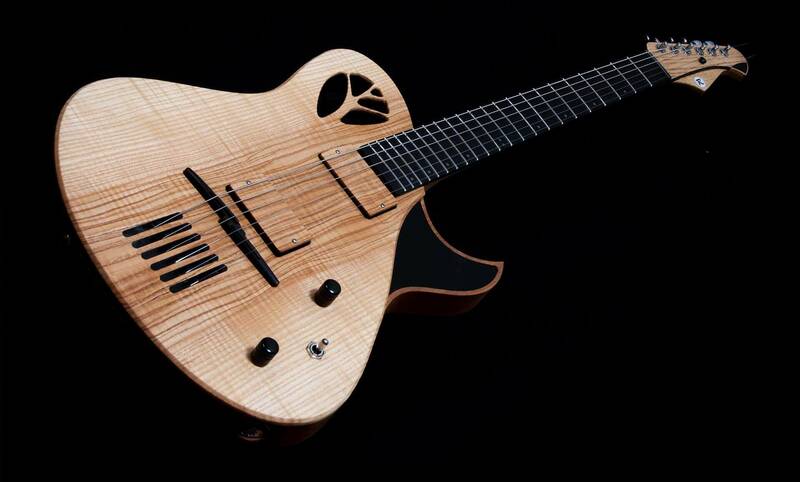 Firstly, we build our own lines of Rikkers guitars: Waveline, Hybridline and Treeline. 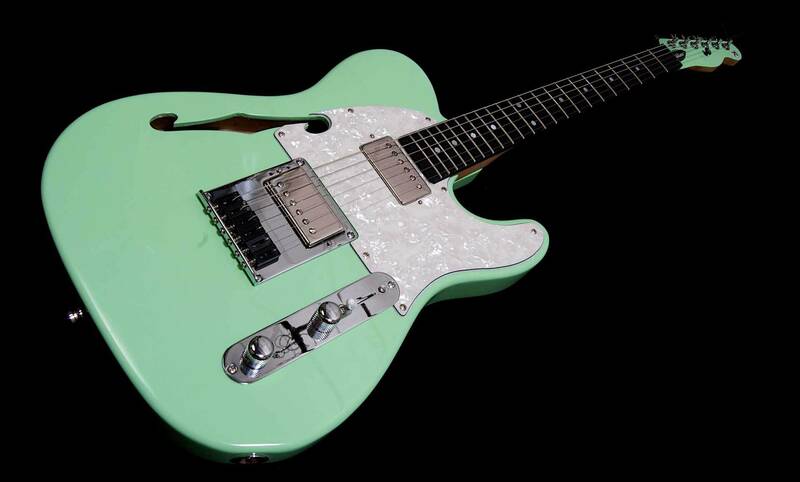 Also, we build traditional models such as the Telecaster, Thinline, Stratocaster, SG and ES335. In our workshop in Groningen, Holland, you are welcome to try our guitars and get a good impression of their sound, looks and feel. At Rikkers we’re continuously building guitars according to our own ideas about sound and design. Therefore, we always have a selection of custom guitars in stock. We also build fully customized instruments, meeting players’ unique personal demands. Are you searching for a specific sound? Or do you have specific requirements in terms of feel and comfort? 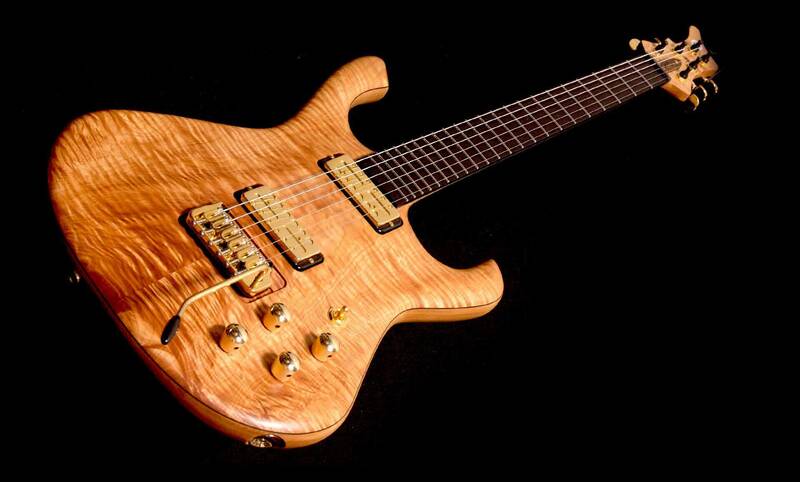 At Rikkers we take the time to advise you on such matters as wood types, quartersawn necks, pickups and electronics. Feel free to contact us. We’ll build your guitar completely custom made, pretty much anything is possible. Custom built Rikkers guitars are recognizable by their exquisite workmanship and smashing looks. Most of our instruments feature an exotic, finely grained top wood. We prefer to finish our guitars with nitrocellulose lacquer. This provides a crystal clear shine and gives the grain pattern great depth and contrast. If you have specific requirements concerning woods and finish, just let us know. We’ll be glad to advise you on your ultimate dream guitar. 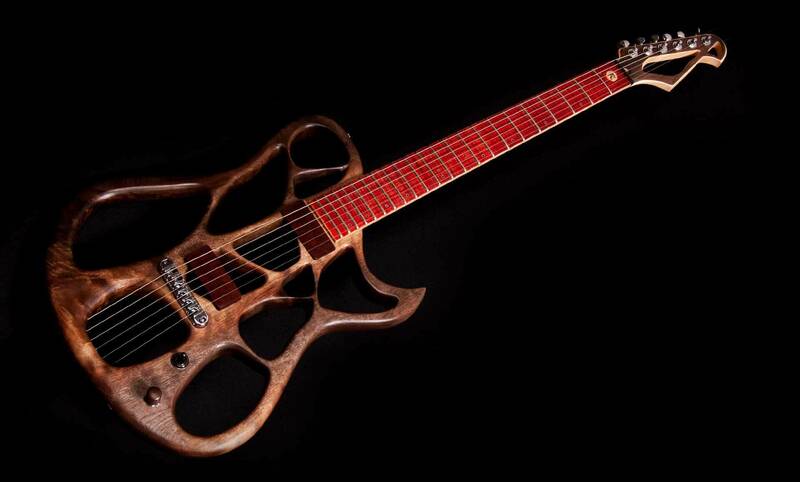 Looking for inspiration for your next guitar? Curious to see what kind of guitars we have made over the years? Because we are craftsmen we are at work with machinery that can produce a lot of noise, so maybe we can’t hear the phone ring. Please call back later or send us an e-mail, at Rikkers we try to answer our mail on a daily basis. Thank you for understanding! Want to come at a different time? Please contact us, sometimes we can try to make an arrangement. Double Bass Players: Want to come by on a Saturday? Please make sure if Ferdinand Rikkers will be available!